Looking for a USED HRB-3 2035? Versatility, flexibility, adaptability, practicality, all very good terms when considering JMT’s HRB-3 new line up of 3 roll hydraulic plate rolling machines. 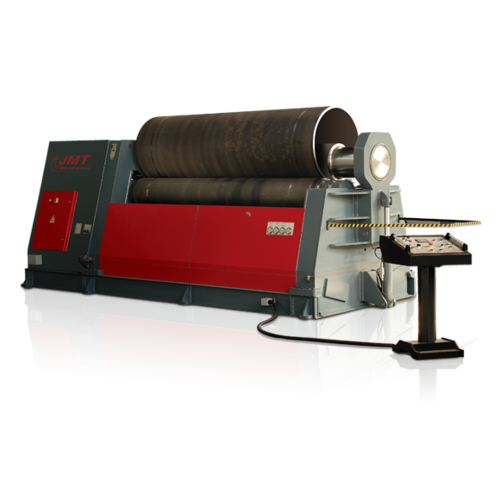 With bending lengths from 6 foot 8 inches to 13 foot 5 inches, and a thickness range of one quarter inch to one and three eights inch, these plate rolling machines are designed to go the distance. Finding the right metalworking machine for your business or project is easy with JMT USA! We offer a wide variety of metalworking and fabricating machines to complete any bending, forming, or rolling application. We have built custom projects for world class projects including SpaceX. JMT USA provided the high grade press brakes, angle rolls, and plate rolls used to fabricate the rockets and space vehicles for SpaceX. Our high quality machine tools and complete service make JMT USA the best choice for all of your fabrication machining needs. Looking to Purchase a New JMT HRB-3 2035?